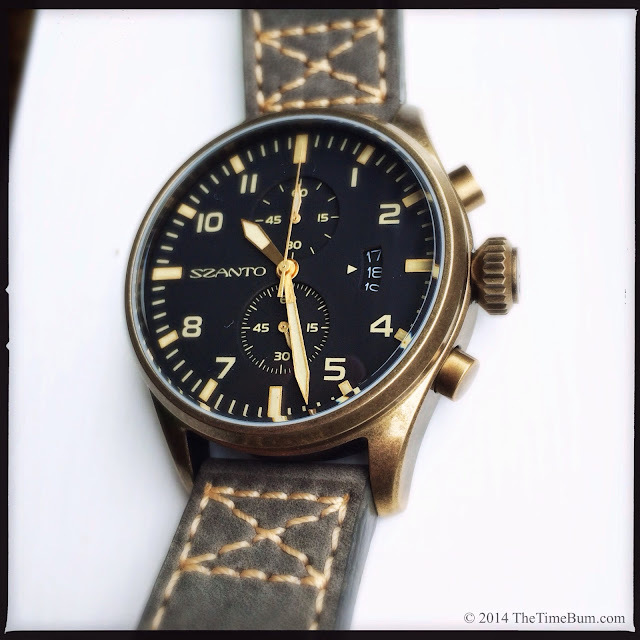 Back in May, I introduced you to Szanto, a very new watch brand with a very old style. I sampled four models and found them to be quite satisfying, offering attractive designs for reasonable prices. 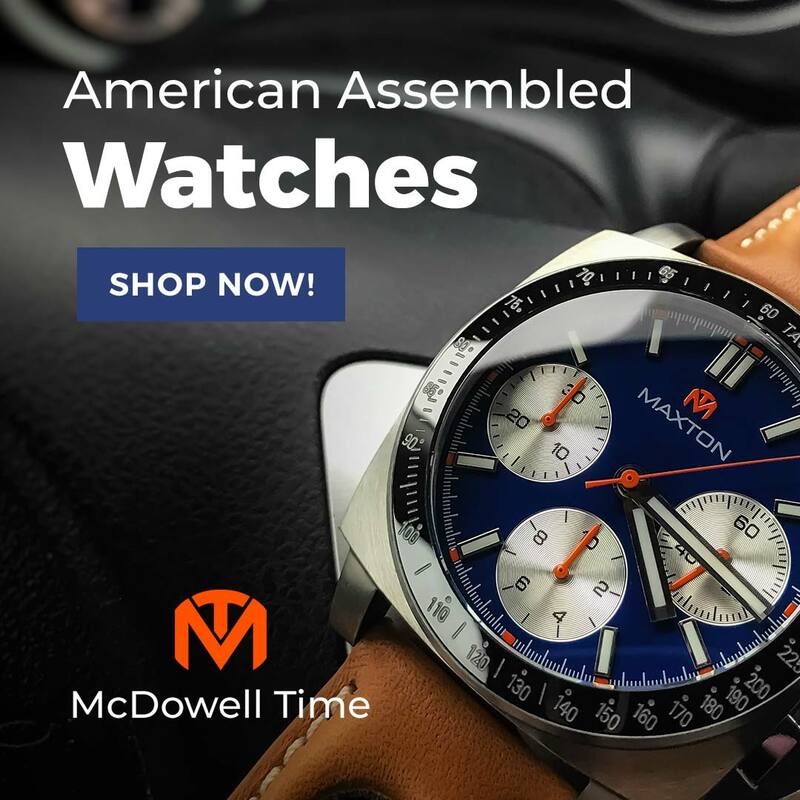 They have just released a several new models and put some into The Time Bum's hands for review, including these two chronographs: the 4001, and the 4103. The watches use Miyota OS11 quartz chronograph movements with sub dials top (minutes) and bottom (small seconds), and a 3 o'clock date window. Water resistance is 100 meters. Both share Szanto's new "antique bronze" finish cases. Now before I go on, I must warn bronze watch aficionados to stop reading entirely, or at least to sit down. You see, the watches are neither genuine antiques, nor are they made of bronze. The name refers only to the color. The folks at Szanto have taken notice of the bronze and brass watch trend, but determined those case materials to be too expensive, so they instead used 316L stainless steel, ion plated for the appearance of aged bronze. The patina is an inert coating, not the oxidation of living metal. Right about now, a certain segment of the bronzo community have grabbed their pitchforks, lit their torches, and formed an angry mob outside of my comments section. To them I say, go back to your homes and families, this is not the watch for you. To everyone else I say, keep reading. The watches look great. It may be a faux finish, but Szanto got it right. The color is a copper-tinged gold with a matte finish and dark, slightly uneven mottling. It is difficult to say precisely what real bronze should look like because its color can vary widely depending on the particular alloy. For comparison, I photographed the Szantos with my Halios Tropik B and Magrette Regattare both of which have a natural, unforced patina. 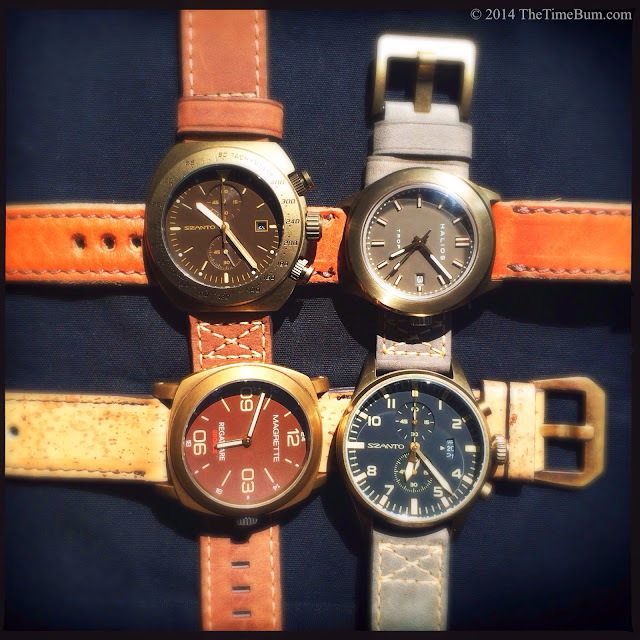 The Szantos are darker and less yellow than the brass Magrette, but pretty close to the aluminum bronze Hailos. You will also notice the color matched crowns and pushers on the chronographs. Bronze or brass case watches generally use stainless steel crowns because oxidation between two bronze parts can fuse them together. The IP coating on the Szanto carries no such risk. The illusion is not perfect, and the game was up once I got my eyeball close to the surface, but I found the effect to be far more aesthetically pleasing than most gold or silver satin finishes I have encountered, and a pretty good approximation of the patina that develops on bronze and brass as a result of natural oxidation. Enough generalities, let's get down to the individual watches. 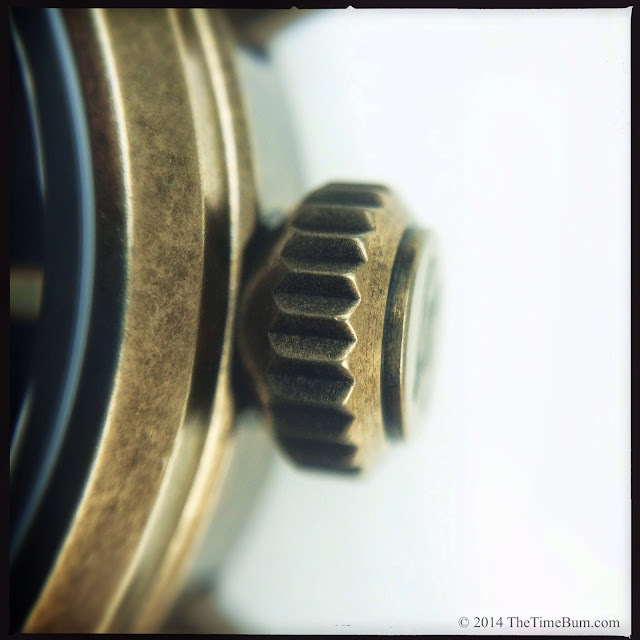 The 4001 has a round 44mm wide case with long, tapered lugs and a beveled bezel. Lug width is 22mm. The sword hands, large crown, and heavy strap have the feel of a pilot's watch, but there are no other overt aviation cues. The dial is black and the applied hour markers are gold and lume-filled, as are the hands. The Arabic numerals are slightly squared and 12, 3, 6, and 9 are eliminated in favor of the sub dials, three-day date window, and brand name. It is a clean layout and I appreciate that they deleted numerals instead of crowding or cutting into them. The hands and markers are both painted with lume, but while the hands burn brightly, the markers produce a feeble glow at best. The large, bun shaped, push-pull crown is coin edged and signed. The pushers are unadorned cylinders. 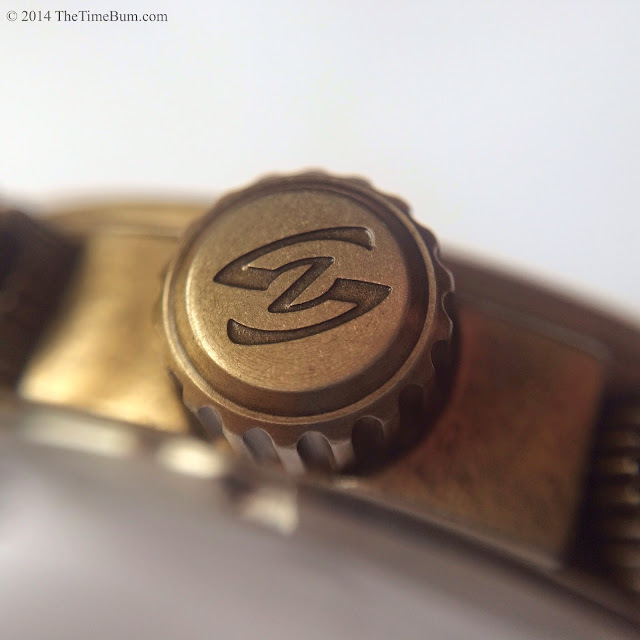 Like all Szantos, the case back is polished and engraved with the "SZ" logo. It is a conservative and handsome watch, the black and gold of the dial works well with the muted bronze case finish and grey leather strap. It is a very nice watch, and a very large one. 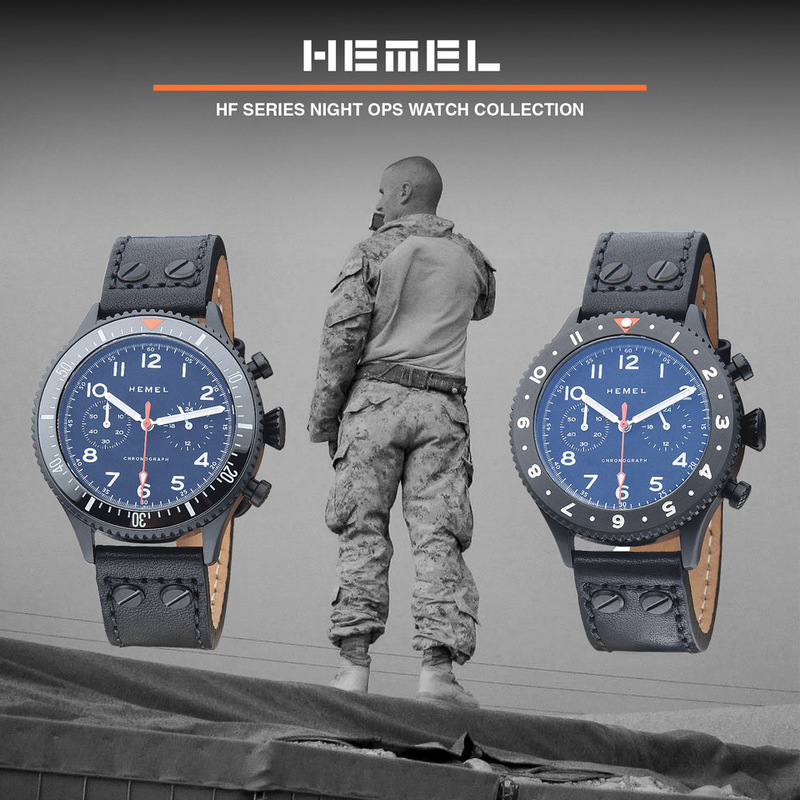 Like most pilot style pieces, the dial is large and the bezel relatively small, which makes it appear even bigger. Long lugs stretch the height to 54mm, beyond the comfortable limit of my wrist, but the size is appropriate for the style. 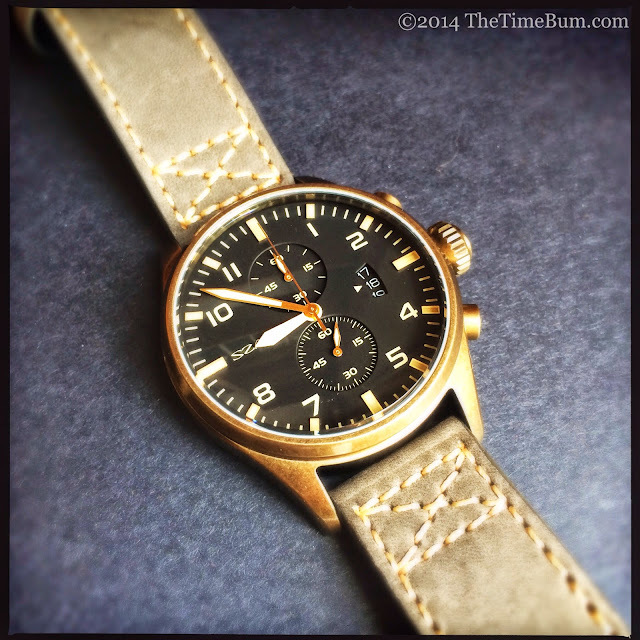 It may be a bit more dressed up than some other pilot's watches, but it is still a casual piece. The 4103 takes the chronograph theme in a different, more sporting direction. It has a broad, 46mm barrel case on a 24mm strap, but its lugless design makes it a relatively compact 47mm long and an excellent fit on my 6.5" wrist – even better than its smaller diameter friend. I would describe the design as a racing timer in the spirit of the 1970s Seiko 6318/6319 chronographs. 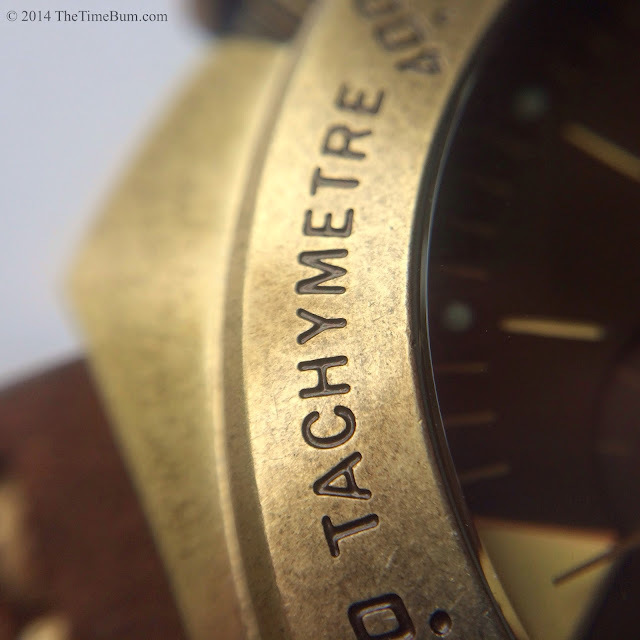 The bronze colored bezel is engraved with a tachymetre scale. The 5mm crown is signed, deeply grooved, and screws down unlike that on the 4001. The pushers have similarly grooved rings at their bases, but they are purely decorative, not screw down collars. The pushers themselves are sculpted with a piston shape and three holes in their slightly rounded heads. It is also surprisingly slim, only 13mm, and an easy fit under a shirtsleeve. It is a sporty and aggressive case that wears quite well, despite its girth. The watch has a brown and gold sandwich dial with slotted markers revealing pale yellow lume beneath. Each slot is topped with a white raised lume pip. An applied, inverted triangle marks 12 o'clock. The triangle is gold, as are the pencil shaped hands, and all are filled with the same yellow lume. 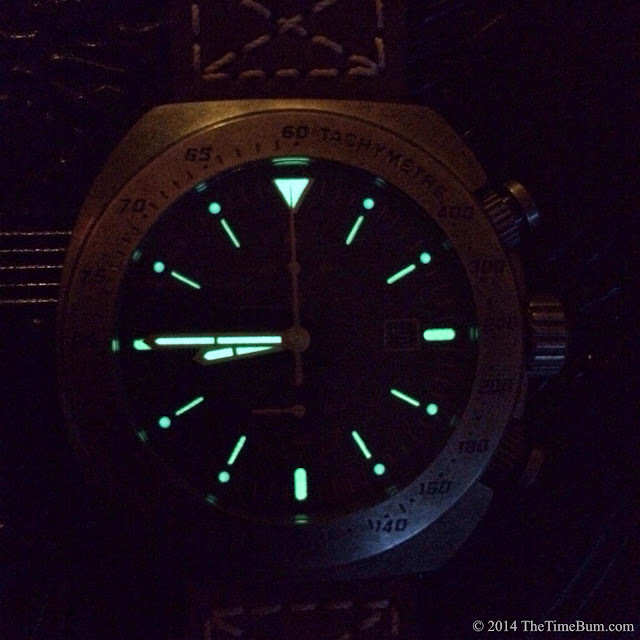 When the lights go down, the dial pops with a strong glow from both the hands and markers. The brand name is printed on the left side of the dial, balancing a 3 o'clock date window. Sub dials are recessed and textured. 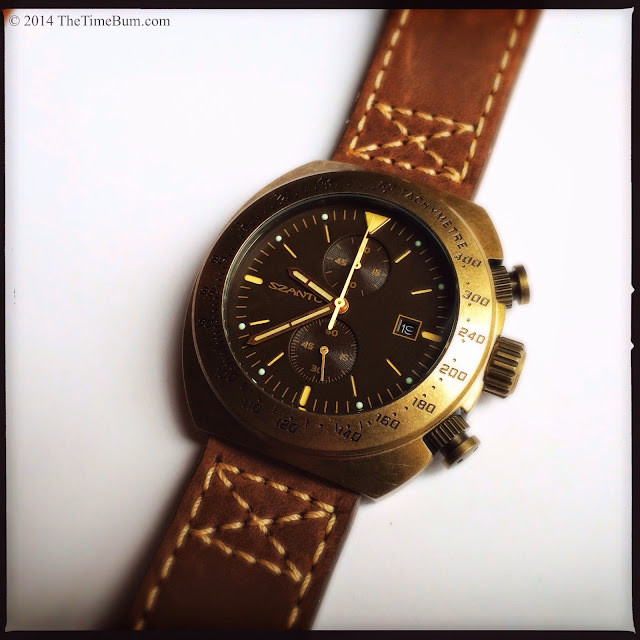 Brown and bronze complement each other well, and they do so on this watch as well. 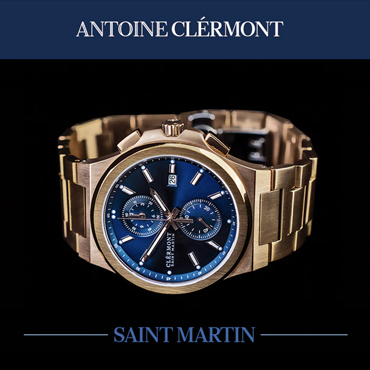 The Szanto 4000 and 4100 series have a suggested retail of $350, which puts them well below most bronze case watches, but very close to some brass ones like the $299 Maranez Layan (when it is in stock), and the $369 Armida A7. Both of these are diver's watches with higher water resistance, sapphire crystals, and Seiko NH35 automatic movements, but they are very different styles than these two Szantos, and they are not chronographs. 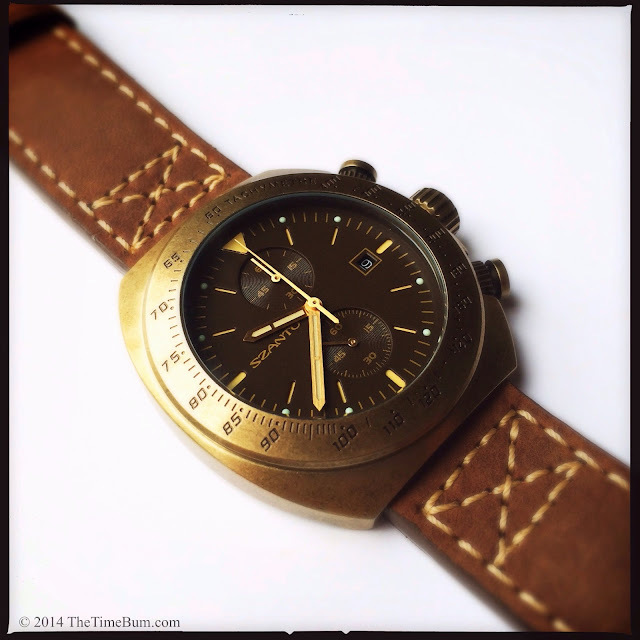 Indeed, options for bronze or brass chronographs are extremely limited and far more expensive. 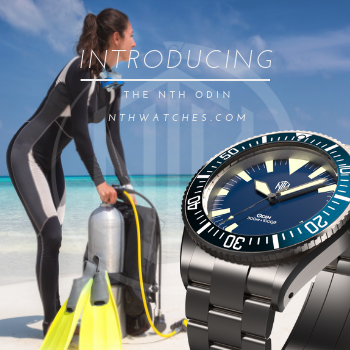 It is hard to ignore their dive watch competition, but the Szantos are attractive timepieces in and of themselves. They may not be a "living metal" but for many, this will be just fine. The 4103 in particular captured my attention with its retro-racer shape and businesslike dial, but either would be a unique addition to your collection. You can find more information on the Szanto Facebook page, http://www.facebook.com/Szanto. Pro: Sharp design, captures the look of a patina on bronze alloy. Con: Not a bronze alloy so a real patina will never develop.